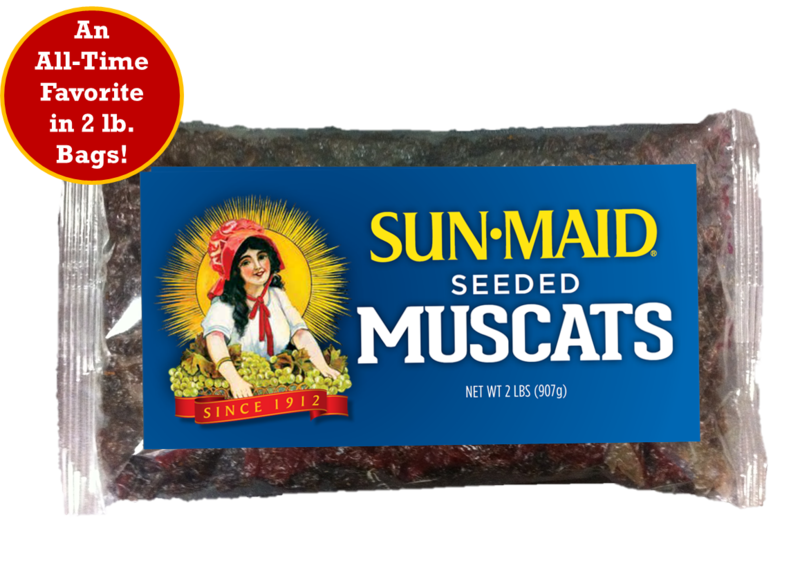 Made from the Muscat grape, these traditional favorites have a distinctive, sweet flavor and are larger in size than Natural California Raisins. 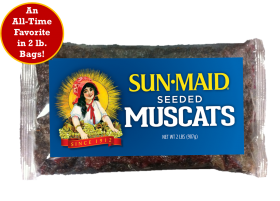 Available in plain or chocolate covered, Muscat raisins are offered only at The Sun-Maid Market, while supplies last. 2 lb. 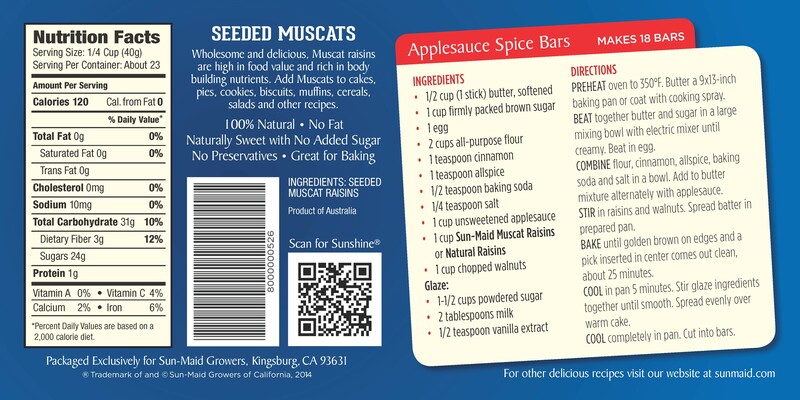 Plain/Uncoated $12.00 BACK IN STOCK! All seeds have been removed.